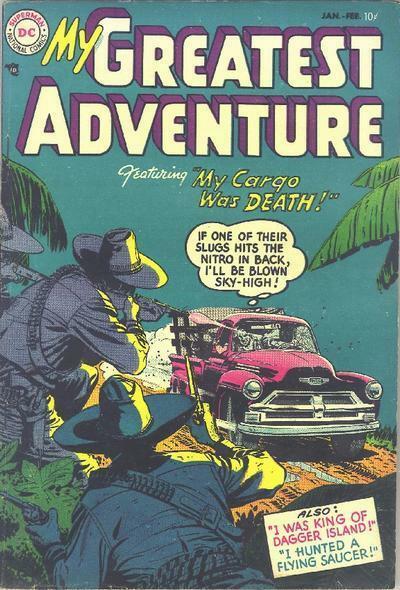 My Greatest Adventure hit the stands last week and my review hit the internet shortly thereafter. This time out, the tale is not only the lead in this anthology book, but it is also the only story of the three that is written and drawn by two separate creators. Matt Kindt narrates this new Robotman’s exposition through the words of Robotman, himself. 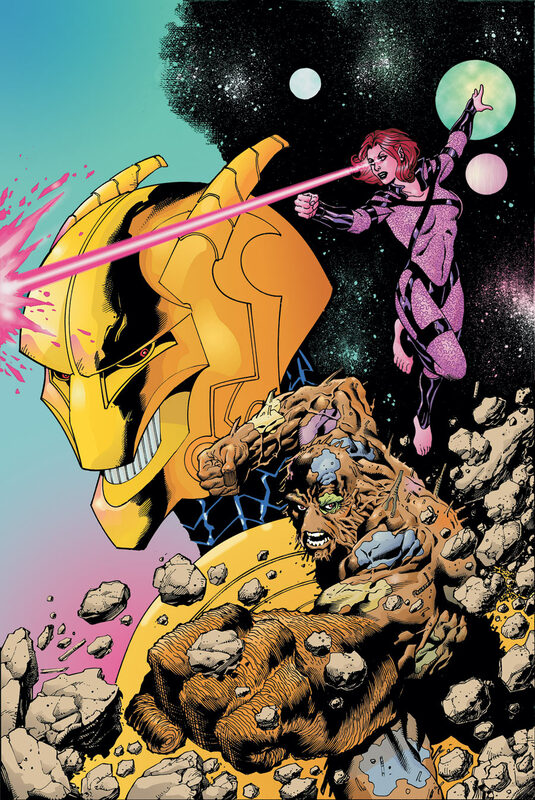 He gives us a tight overview of Robotman’s personality but only eludes to Robotman’s past, choosing to grow the character over the course of the storyline. To see the whole review, give a little click. For funsies, I thought I'd do some digging on the Interwebs to uncover what the first issue of the original My Greatest Adventure looked like, seeing as we're just days away from the newest go-round. "My Cargo was Death." THAT sounds like one great adventure. I don't own any of the pre-DP issues, but I've always been curious to know how they hold up. How about you, my friends? Anyone a bigtime old-school MGA fan? The adventures of WEIRD WORLDS’ Garbage Man and Tanga continue in MY GREATEST ADVENTURE, a new six-issue anthology-style miniseries. And this time around, they’re joined by the quirky and self-destructive Robotman. Meet Robotman as he takes on a restaurant full of zombies. Follow Garbage Man as he makes his return to Gotham City and seeks out the only friend he has left. And watch Tanga suffer the consequences of defying King Za. 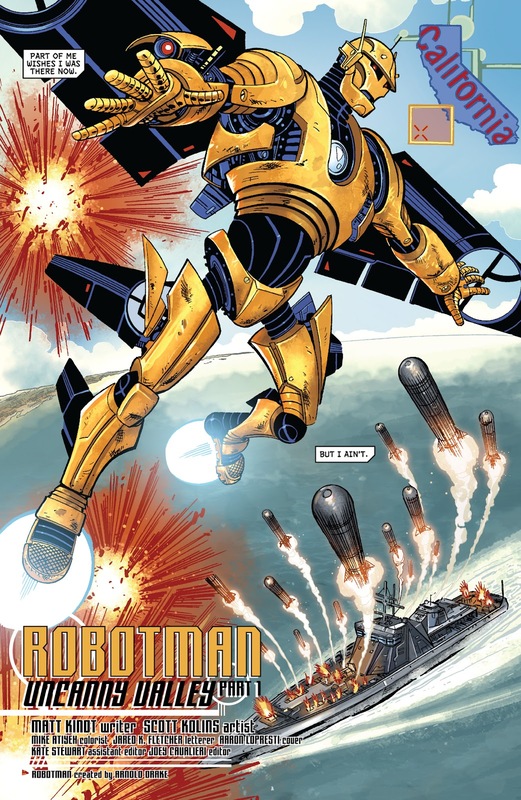 Robotman’s “Uncanny Valley, Part 1” is written by Matt Kindt and illustrated by Scott Kolins. 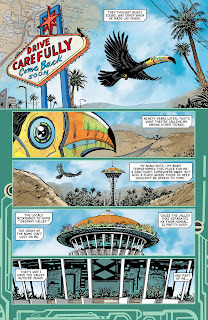 “Garbage Man Returns” comes to you from Aaron Lopresti and Matt Ryan and “Tanga: Restrained” is by Kevin Maguire. MY GREATEST ADVENTURE #1 goes on sale this upcoming Wednesday. 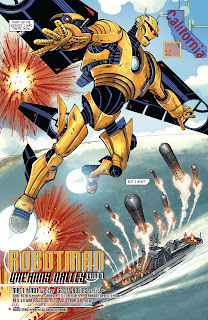 DC's Source has a preview of the issue, including the Garbage Man and Tanga stories, but I'm sharing the Robotman preview right here with you.